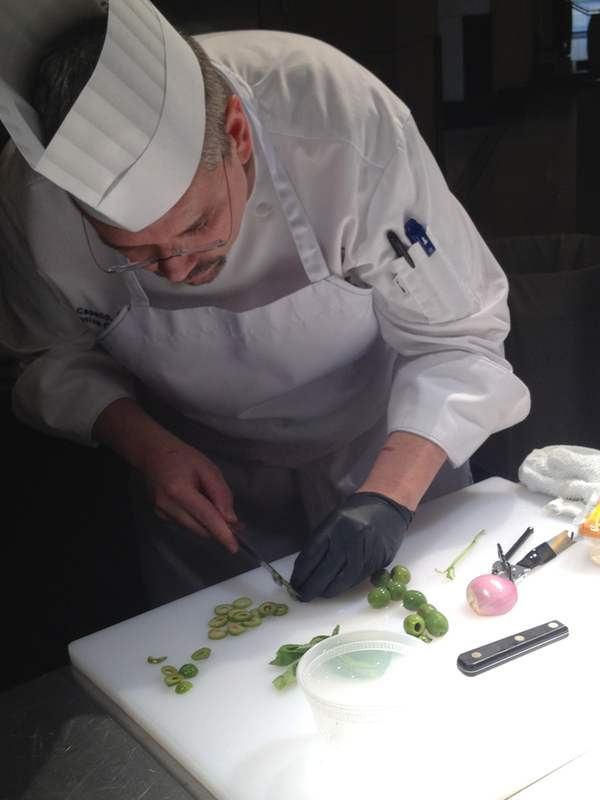 Chef Dan Capello, Executive Chef of Chenal Country Club, competes in round three of today’s Diamond Chef preliminaries. UPDATE: Executive Chef Dan Capello and Sous Chef Jordan Davis of Chenal Country Club won the preliminaries and will compete against Jason Knapp at the June 4 final event. 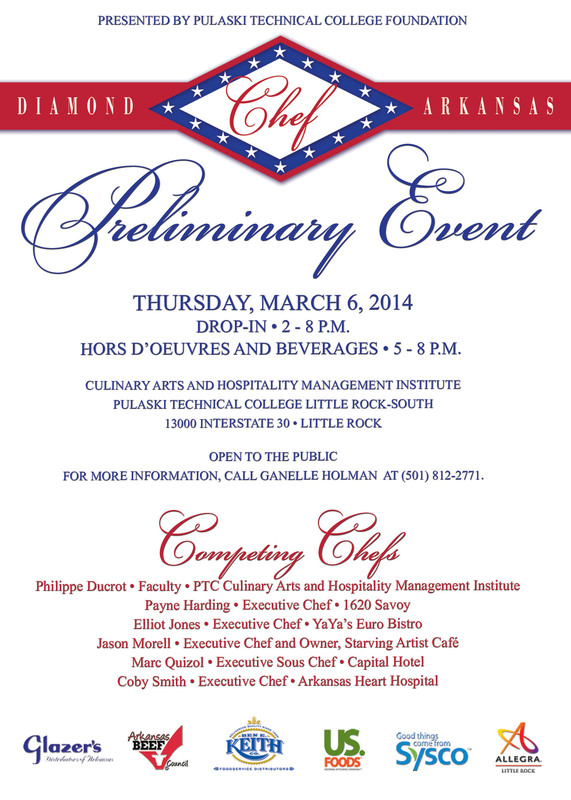 If you have a few minutes (or hours) to spare this afternoon, drop by the lobby of the Peabody Hotel in downtown Little Rock and watch a round or two of Diamond Chef preliminaries, pitting the state’s best chefs against each other to choose who will compete against last year’s winner, Jason Knapp of Aramark/UCA, in a special plated dinner event this summer. 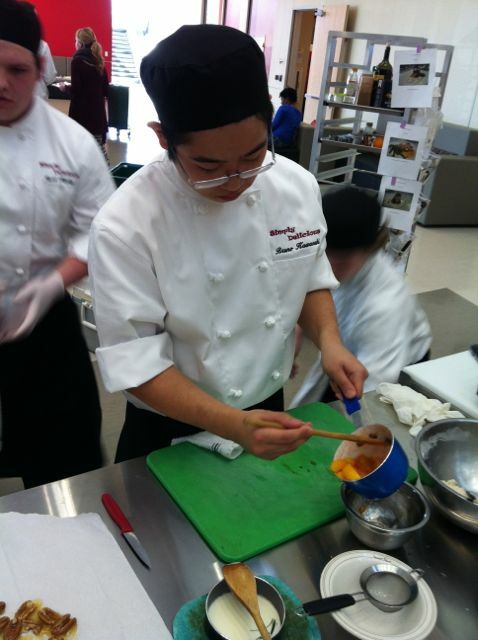 The competition follows the format of the popular television show “Chopped.” Chefs are presented a mystery basket of ingredients and have 40 minutes, with the help of one sous chef, to prepare a dish using all the ingredients. Judges will score the dishes, and the top two chefs will advance to the Arkansas Diamond Chef finale on June 4 at the Statehouse Convention Center. For the first time in a few years, we won’t be able to be there for a live play-by-play. Luckily, the great PR folks at Pulaski Tech are on top of it for you, so catch the action as it unfolds on their Facebook page, or follow their snazzy new Twitter handle at @Diamond_Chef.